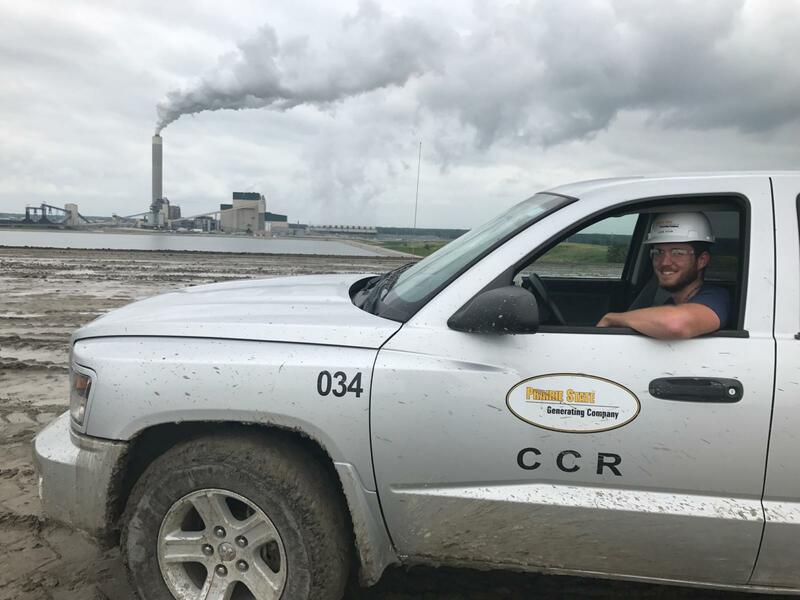 Coal Combustion Residuals (CCR) intern Jake Dyson has spent his summer at Prairie State learning about operations and creating solutions. Dyson has enjoyed going underground to shadow different departments at the mine. He has also attended a variety of meetings to discuss issues such as water balance, environmental compliance, and noise control. Prior to this internship, Dyson was not sure what to expect. He now has an appreciation for the level of involvement the CCR department has in handling by-products of power generation. Dyson has remained involved with diverse functions including mine operations, landfill closure, environmental compliance recordkeeping, and daily problem solving. While Dyson has enjoyed learning about the inner workings of a power plant, geology is his passion. He plans to pursue a future career in the oil and gas industry.